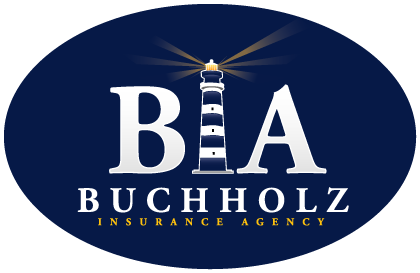 The Buchholz Insurance Agency was founded in 1954 by my father, Donald J. Buchholz. He started out as a Farmers Insurance Agent and was one of their top producers. Over time he and a few of his fellow top agents decided that they had outgrown the structured "captive agent" environment of a "direct writer" company. Farmers was a good company and had trained them well, but they wanted the independence of being able to write for a variety of insurance companies rather than being locked in to only one. I grew up around the insurance business, riding my bicycle to the office after school doing filing and answering the phone. In college, at the University of Missouri, I finally decided that I would major in "Risk and Insurance", which was a subset of Finance. In 1980 I officially joined the Buchholz Insurance Agency and quickly got my brokers licenses for all lines of insurance and began my career as an insurance broker. Not long afterwards I applied for and received a scholarship from the National Alliance for Research and Education to begin the process of becoming a Certified Insurance Counselor. I had a bit of a headstart by majoring in Risk and Insurance, but am still proud of the fact that I passed all five of the essay exams on the first try. I was told that a couple of those had a less than 50% pass rate. I moved from the North St. Louis County office to St. Charles in about 2010 and have been here ever since. I take pride in running a small agency that caters to clients' needs by endeavoring to treat everyone as I would like to be treated... as if they were a family member or a good friend. In fact, many of them are good friends. I represent a number of fine companies and write virtually all lines of insurance including even specialty ones. I like to feel that I can find a good quality company and product for virtually any need. Thank you for reading all of this. If you would like to contact me for a little chat about your insurance needs or to have a free evaluation of how well your current policies minimize your risks and protect your family and your assets, please give me a call at (636) 196-1234 or use our contact form to send me an email message.